Balsam Range were named the 2018 Entertainers of the Year by the International Bluegrass Music Association. Our Song of the Week, "If I Needed Someone," finds the band blending bluegrass with The Beatles, which helps explain why the band was awarded the prestigious "Entertainers of the Year" at the 2018 International Bluegrass Music Association's awards and honors. Gathering for the finale song are members of Yonder Mountain String Band, Balsam Range, Oh Pep!, Le Poules a Colin and Peter Case. 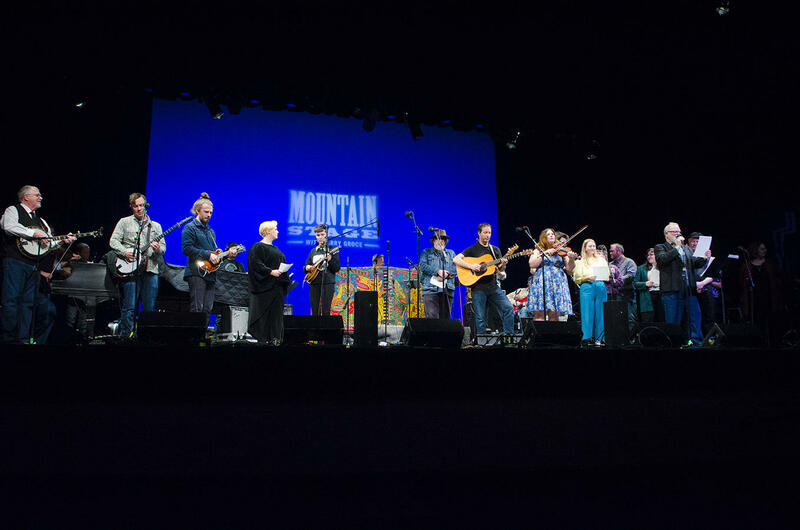 You can hear the entire set from Balsam Range, as well as sets from jam-grass innovators Yonder Mountain String Band, Australia's roots-pop group Oh Pep!, plus Quebec's Les Poules à Colin and alt-folk luminary Peter Case, on this week's brand-new episode of Mountain Stage. Find out where you can listen on one of our NPR stations, and be sure to keep an eye out for our podcast and more music at NPR Music. Mountain Stage is working through the Spring with an eye on the long Summer evenings, so here’s the latest updates on our upcoming Live Show Schedule. Ticket prices vary per event, and all shows are on sale now online and at Taylor Books in downtown Charleston. June will be a busy month for music lovers as Mountain Stage has scheduled three live tapings in Charleston, W.Va. that will be worth planning a trip for. Tickets for all three shows are on sale now to Mountain Stage Members. Not a member? Click here to find out more, choose a level and sign-up. This week singer-songwriter Mark Cline Bates makes his second appearance on Mountain Stage with songs from his upcoming album, "King Of The Crows." In our Song of the Week, "Ginger," Bates weaves a heart-wrenching tale about aging, reflection, regret and loss.